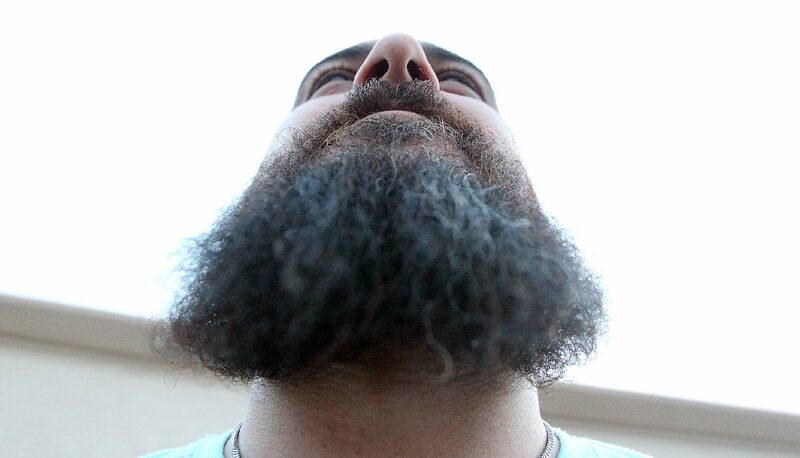 Delcia Lopez | dlopez@themonitor.com Contestant in the beard competition, Vinny Dee of Edinburg, gets ready to compete in the 3rd Annual Beard Fest at 5x5 Brewing Company in Mission on Saturday Nov. 24, 2018. 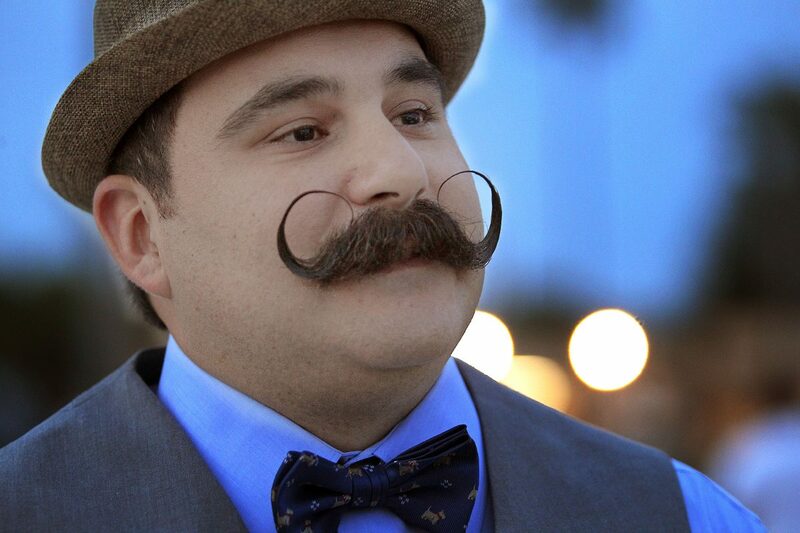 Samuel Carrion curls the ends of his handlebar mustache to make sure they retain their perfect circular shape. What started off as a product of no-shave November five years ago was now his chance to compete in the third annual Beard Fest in Mission. Though he was surrounded by facial hair connoisseurs on Saturday, initially Carrion’s wife and daughters weren’t too fond of his new look. The rough hair on his lip even made his daughter not want to get near his face. But it runs in his family; his father had facial hair, and his great-grandfather had a handlebar mustache exactly like his. The contest, held at 5×5 Brewery, was split into three main categories: length, thickness and freestyle. Luis Ramirez, owner of High Octane Cuts in Harlingen, which organizes the event, said this year they decided to add a ‘best attempt at a beard,’ category for guys like himself, who are close to having a beard but fall a little short. Additionally, there is now a women’s category, which features homemade artificial beards worn by females. All proceeds go to a specific cancer patient; this year, it was Michael Cuellar, a barber from Donna who was diagnosed with Leukemia. 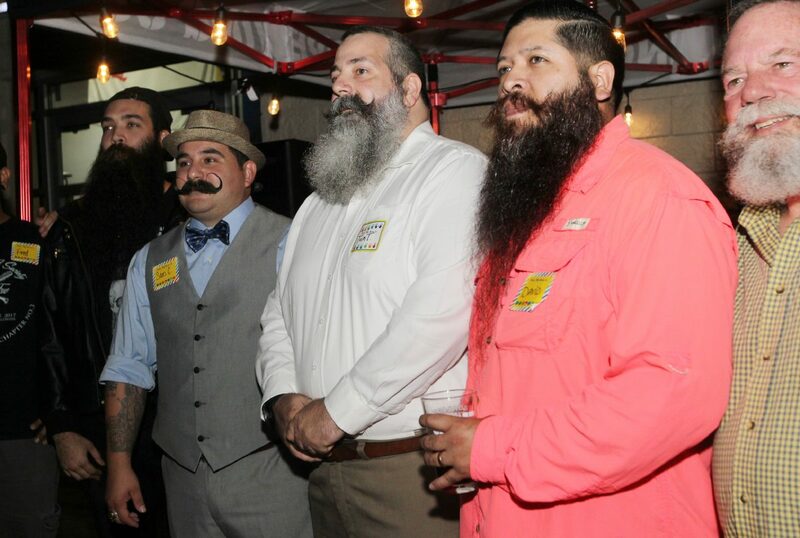 Delcia Lopez | dlopez@themonitor.com Contestants in the 3rd Annual Beard Fest at 5x5 Brewing Company line up on Saturday Nov. 24, 2018, in Mission. 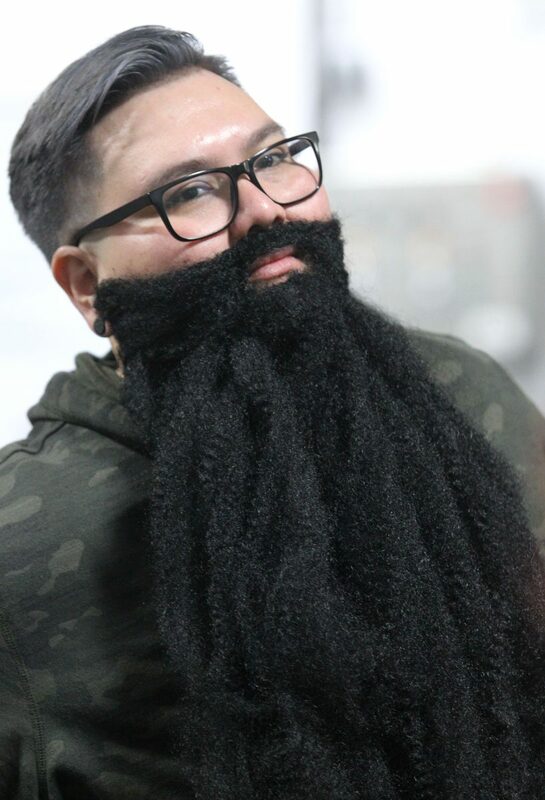 Delcia Lopez | dlopez@themonitor.com Sam Carrion of Edinburg was a contestant in the 3rd Annual Beard Fest Contest at 5x5 Brewing Company on Saturday Nov. 24, 2018, in Mission. Delcia Lopez | dlopez@themonitor.com Tony Leal, 28, of Pharr talks about his beard and how he has grown it in the past 4 years, as he competes in the 3rd Annual Beard Fest contest at 5x5 Brewing Company on Saturday Nov. 24, 2018, in Mission. Delcia Lopez | dlopez@themonitor.com Ruth Alejandro, 34, of Harlingen was a contestant in the 3rd Annual Beard Fest at 5x5 Brewing Company on Saturday Nov. 24, 2018, in Mission. Three years ago, after noticing that the Valley lacked events to recognize magnificent facial hair, Ramirez decided to start an event of his own. 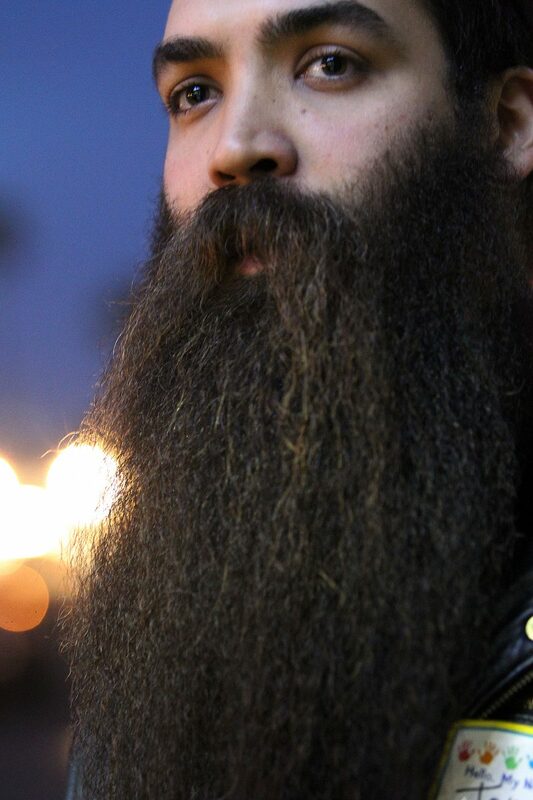 In past Beard Fests he’s seen beards shaped like an octopus and some molded sharp like a dagger. Maintaining a beard is no easy task, he added. Tony Leal, a McAllen native, turned eyes as soon as he walked up to the brewery. With his beard just about half way down his torso, some competitors immediately recognized him as last year’s champion. “I haven’t seen my face in four years,” the 28-year-old said. 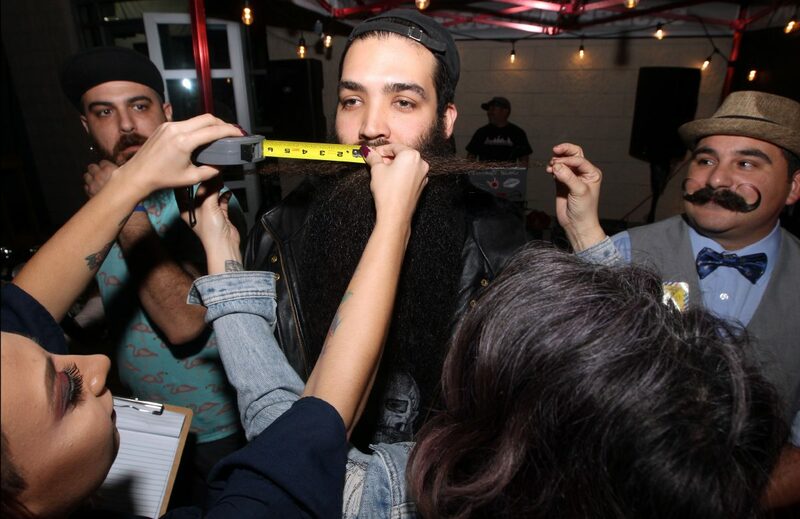 At 10 inches, Leal won the longest mustache competition on Saturday. At this point his beard requires a lot of maintenance. Every morning he blow-dries it and adds oil and balm. It’s a small price to pay in exchange for avoiding his least favorite activity: shaving.